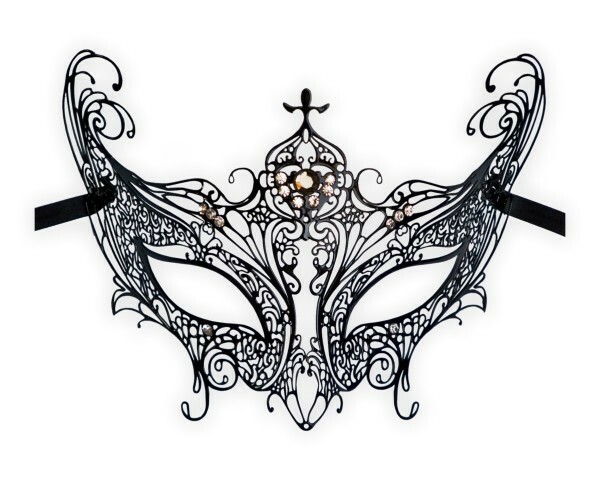 Authentic venetian mask which is lightweight and comfortable to wear. These filigree masks were created by italian artists combining traditional style and progressive techniques. It is fully wearable with black satin ribbon ties attached to each side. One size will fit most adults. This luxury mask was laser cut from filigree metal and has been adorned with rhinestones (if shown in the pictures). Perfect for masked balls, mardi gras, carnival, photo sessions, fashion events or simply as a beautiful decoration.